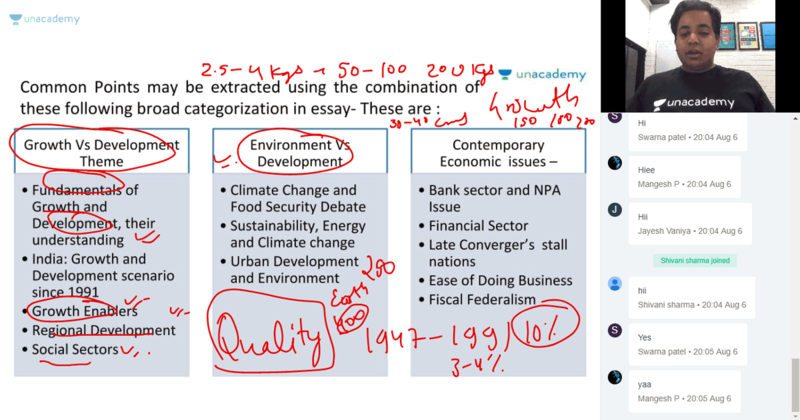 Finding difficult to cover UPSC syllabus? Unacademy's Educators are here! 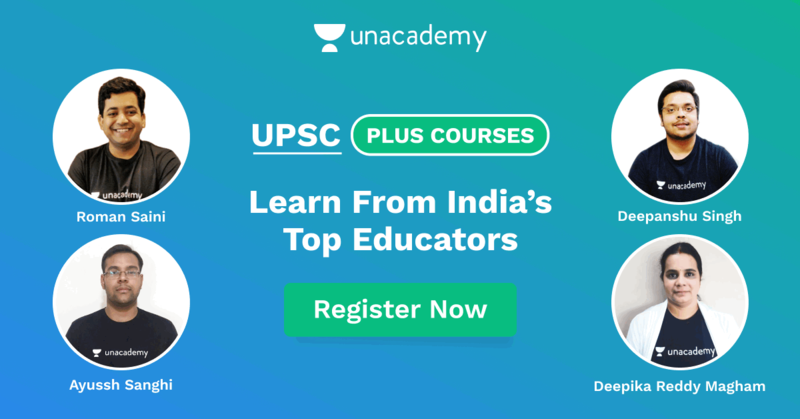 What are Unacademy Plus Courses? Unacademy has India’s Top Educators in one place, making them easily accessible to learners across the country. You can now, physically be anywhere and still continue learning at your pace to work towards your academic goals. We are helping more than 7M learners clear the toughest competitive exams in the country and realise their dreams. Unacademy hosts more than 6 lakh lessons and will provide you with every resource you need to clear the exam. Unacademy is India’s largest learning platform and the best place to prepare for the UPSC CSE examination. We are striving to make learning accessible to everyone. With Plus Courses you don’t need to make it to a physical classroom at a particular time. All you require is an internet connection and a device to watch the classes, which can include a phone, a tablet, a smart TV or a laptop. These key features ensure that Plus Courses are the only companion you will need on this journey to achieving your goals. Live classes conducted in real-time and taught by India’s Top Educators. Live Weekly Quizzes & Mega Quizzes will help you revise and check the progress of your preparation. Doubt Clearing Sessions ensure that you will have a clear and comprehensive understanding of the subject that you are learning. Recorded Lectures ensure that you never miss a lesson. If you are busy at the time of the Live Class, you can access the recorded lecture whenever you want. Private Discussion Forums not only give you access to the Educator, but also gives you the opportunity to interact with your Plus classmates. All courses have their own discussion forums which will help you prepare better. Tips & Tricks provided by our Educators will ensure that your preparation is thorough and you become more confident to give the exam. Study Material & Notes provided by the Educator can be downloaded whenever you require, making it possible for you to revise and prepare anywhere, anytime. Why are there limited number of seats for Plus courses? that learners can make full use of the course. The limit on the number of seats is to ensure that no learner feels left out when it comes to attention or doubt-clearing in the discussion forum. Seats are filled on a first-come first-serve basis be sure to register for the course as soon as possible. A. Live Classes are taught in a whole host of languages including regional ones, English & Hindi. A. Not to worry, our classes only require a 3G or 4G internet connection and can be viewed on your phone too. However, for a seamless experience, we recommend a WiFi or broadband connection. A. This is an issue faced by many students and it is to solve this problem that we have recordings for every class which are made available shortly after the lecture. All Learners will have access to the entire course material and lecture recordings. We have ensured that your learning experience is no longer time bound or location. Take this opportunity to learn from India’s Top Educators that too whenever & wherever it is convenient for you.